The Fan.Tastic Females project would have never been what it is today without the dedication and work of a bunch of great people who were responsible for the video and graphic design of its content. They played the greatest part in facilitating this unique exhibition format. Filomena Canino is a freelance camera operator, filmmaker and media activist from Italy living in London / UK. 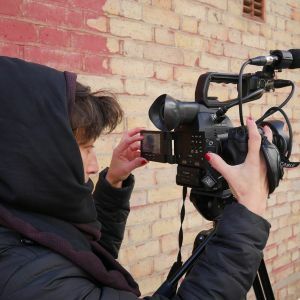 Amongst many other projects she has been involved in over the years, Filomena Canino developed a DIY documentary movie about the Clapton Ultras, a fan group of the non-league team Clapton FC in London, that received attention from football fans across Europe. Naz Gündogdu studied Film & Art at the Academy of Fine Arts in Vienna / Austria. 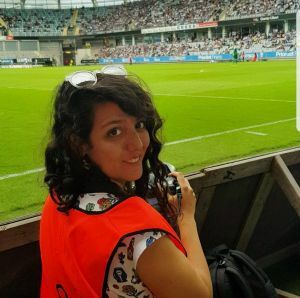 Ayaktakımı, a documentary movie about Turkish fandom between football and political protest culture, was her first ever film project she started on her own in 2015. Today, Naz lives in Berlin and works as filmmaker for football magazine 11FREUNDE in Germany but also for various other projects. 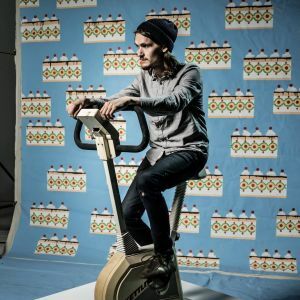 Christopher Radke is a filmmaker, director and editor and part of the creative duo Isla 3000 from Hamburg / Germany who has gathered most of his professional experience in the music industry. There, he has filmed and edited a wide range of music videos, amongst others commissioned by renowned independent music labels like Audiolith. The work on the Fan.Tastic Females is his first ever project in the world of football. Whilst Filo, Naz and ultimately also Christopher were in the lead of the making of most portraits, there were more volunteers who were in charge of editing mostly individual portraits: Christian Pleines, Kevin Lenk, Leo Rua, Leonie Pokutta, Malte Voss, Robert Vogel, Seamus Lumsden, Sebastian Liebentraut. Nico Appel is the creative mind behind Design-A-Sign from Hamburg / Germany and has worked on a wide range of design projects both in editorial and corporate design, textile and product design and other areas, and has increasingly established in the football world. 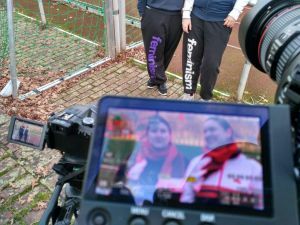 With the refugee team FC Lampedusa St. Pauli she has combined the best of both her passion and her profession in football: not only is she one of five coaches in a female only coaching crew but also in charge of all corporate design for the team. Michael Fritz is one part of More-Features from Innsbruck / Austria and has developed web programming and design solutions for a wide range of businesses and organisations of all sizes and shapes for many years. 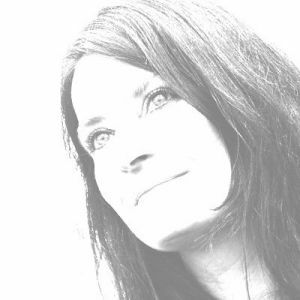 As a passionate supporter of Wacker Innsbruck, he is – amongst others – responsible for the web solutions of the club itself….and ultimately supported the development of all solutions around the web design and web-based exhibition concept of the Fan.Tastic Females.